Kids can recreate their favorite comic book adventures or imagine new ones of their own with this DC Super Friends Imaginext Action Figure Case! Every young crime fighter needs super friends to help take down super-villains. This case features iconic characters like Aquaman, Darkseid, and more. Collect them to create more heroic adventures! Ages 3 to 8. 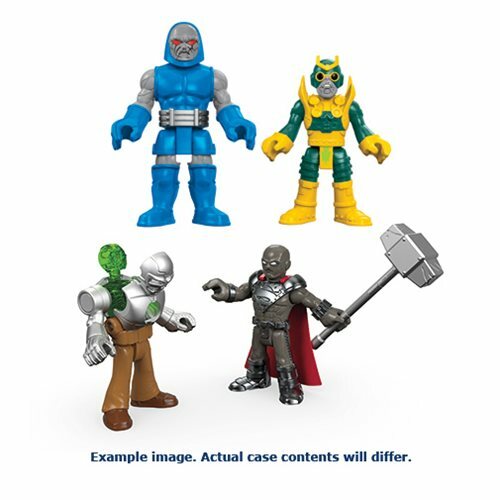 This DC Super Friends Imaginext Action Figure Case contains 4 individually packaged figures.